MSP is facing some of the worst racial disparities in the nation. To remain competitive, the region needs to focus on closing the education and achievement gaps to alleviate the impact on our workforce and economy. 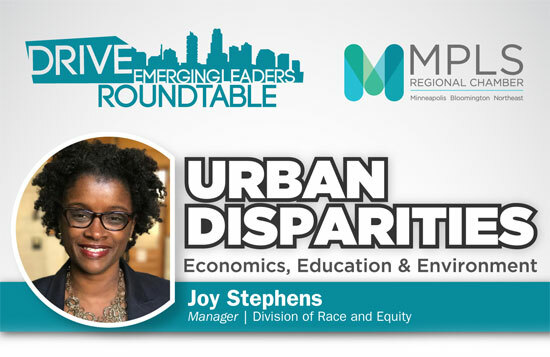 At the next DRIVE Roundtable Joy Stephens, Manager at Division of Race and Equity, will talk about the issues and challenges facing the city and our region.